The pedestrian walkway needs to be restriped with paint. The pedestrian walkway needs restriping. A pedestrian walkway needs updating. Please update the street markings. 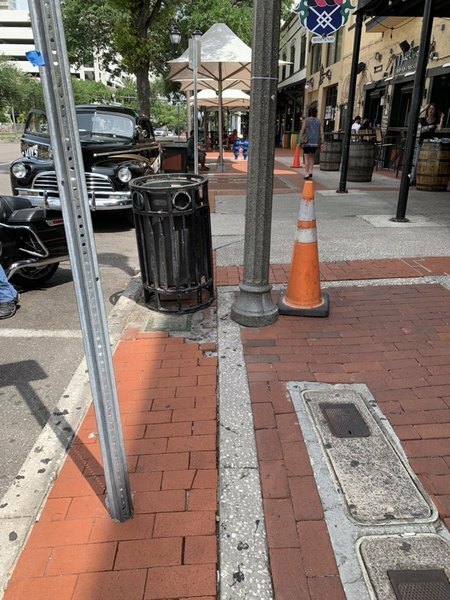 Please repaint the pedestrian walkway street marking.